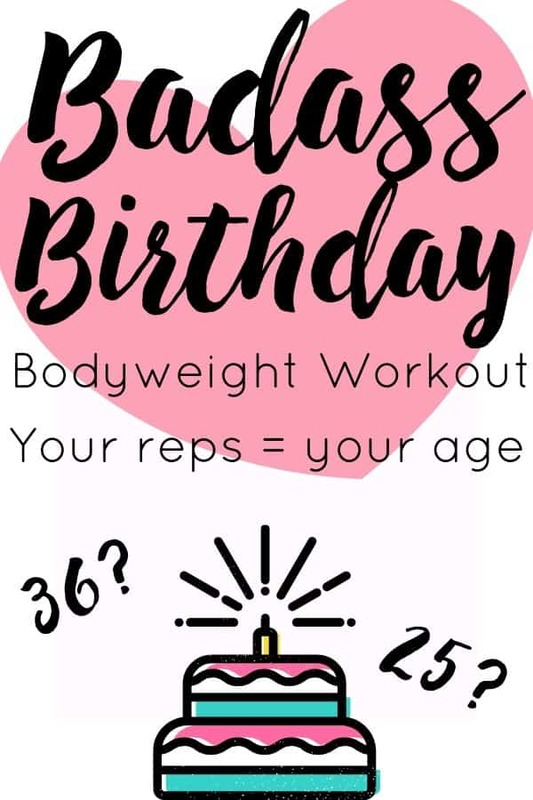 Today I’m sharing a bodyweight workout I created for fun to do on my birthday. Today is one of the most special days of the year for me. Not just because it’s my birthday, but because I had my youngest son on my golden birthday on this day in 2008. Today he turns 11 and I’m turning 36. Do I feel 36? Only if I’m getting myself up off the floor, haha! I remember thinking to be in your 30’s was old when I was a teenager but I was so wrong. 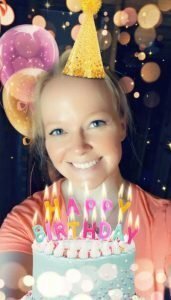 Today I’m closer to 40 than I am to 30 and it’s mind-boggling to me! I don’t really feel old at all. Mornings, after having a few drinks the night before or falling asleep on the floor, will quickly change that. This workout is super simple. Customize it by using your age as the number of reps for the bodyweight moves and your age divided by two for the cardio at the beginning and end of the workout. This workout is entirely made up by me. Feel free to modify any way you wish; add weights and/or substitute exercises for whatever you want! The best thing about this workout is you can do it anywhere and it works your full body – strength, and cardio. Plus it’s a bodyweight workout, no equipment needed! Well, that was interesting. The middle portion took me about 15 minutes I think. I completely forgot to wear my Apple watch so it wasn’t timed precisely like I wanted to. This was really hard! Once I got to lunges I broke them into 3 sets of 12. For burpees, I also did 3 sets of 12. For push-ups I did 20 in a row, then 10 and then 6. I made it through everything but I could barely walk at the end. And thinking I could jog after all that mess is hilarious. I walked. But I did play around with the incline.